New Generation in Verbier is a ski school and a ski instructor training centre. 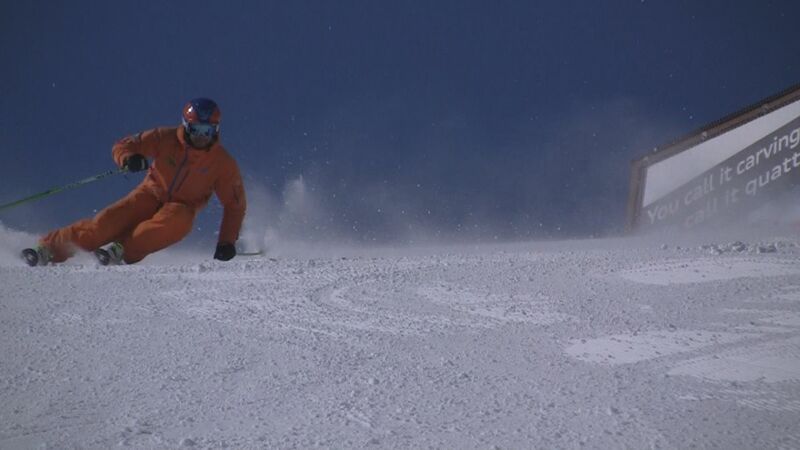 Last week we promised you a no holes-barred insight into what ski instructor training involves. This post is about the people running our BASI Level 4 courses in Verbier – Jon and Tom, written by Jon…. “I’ve just made a video edit about us. We didn’t want too much talking in the video. 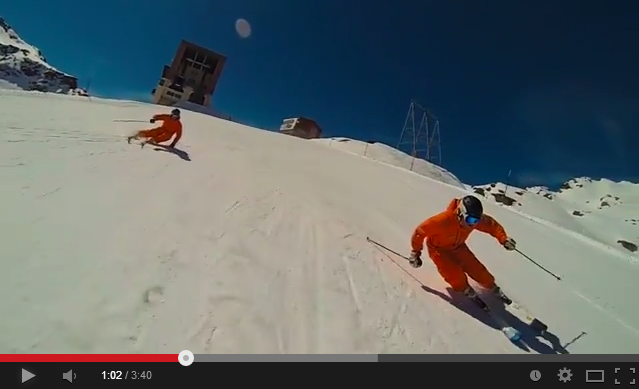 Video is a great opportunity to showcase how we ski. Watch the video below for that. If you’re curious about who we are, read this blog. I (Jon) am 40 years old. Yowza! I am Swedish and speak with an American/Kiwi/Swedish accent. Some people guess Canada. It used to be a beautiful Southern US drawl, but that appears to have escaped me now. I grew up ski racing in Sweden, but quit skiing, went to university and became a lawyer. Then I quit that and became a ski instructor. My teeth have a yellow tint from all the snus (Swedish chewing tobacco) I go through. I’m short and not very strong. Actually, I don’t weigh much, so my power to weight ratio is pretty good. Me on lovely winter snow in April. Tom is 30 and a retired rugby player with really white teeth. He doesn’t snus enough. I think he knows. He is fluent in Japanese (scored 4% on his uni exam). He’s getting more and more into racing. Last summer, he did something really cool. He went to New Zealand and became a FIS racer for three months, and shadowed Dave Ryding (currently Britain’s best racer) and his coach Tristan Glasse-Davies. He’s going back to do it again this summer. Tom is really, really strong. Tom is also the Resort Manager in Verbier – our Fearless Leader. Tom showing the base of his skis to the side of the run, not down the hill. He’s so fast that his pole casts three shadows! We’re both BASI level 4. We ski on the same skis. No – we don’t share a pair, we each have our own. We do share a Wintersteiger, an edge sharpening tool. We share another thing – the idea about what good skiing is. We believe that good skiing is about performance, not about criteria. You get performance by doing a few things right. When those things are done right, you meet the criteria. For this, the template is racers for on-piste, freeriders for variables and moguls competitors for bumps. Tom and I lap coaching during the BASI Level 4 Training programme on the Greppon Blanc in an unusually warm March. 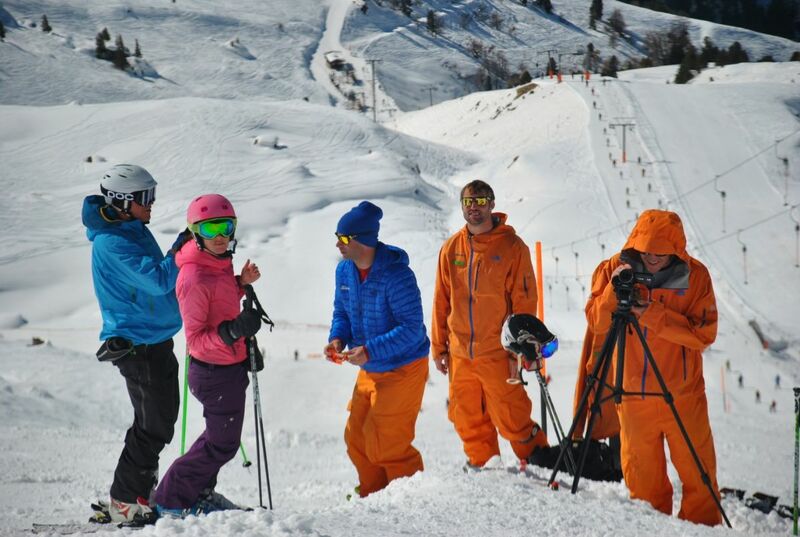 If you think you have what it takes to be a Ski Instructor and like the look of this, then find out more about New Generation Ski Instructor Courses.